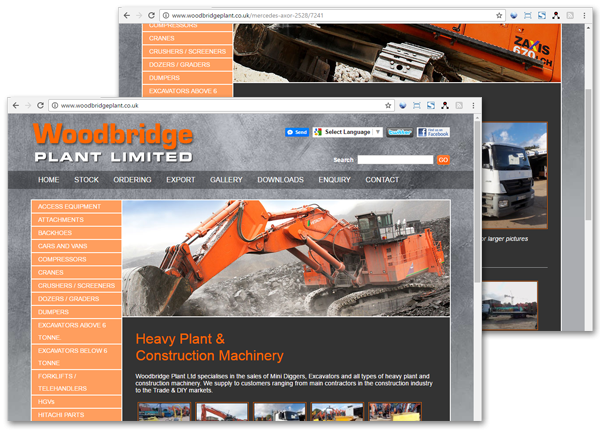 Woodbridge Plant Ltd specialises in the sales of Mini Diggers, Excavators and all types of heavy plant and construction machinery. Woodbridge also now offer their own range of hydraulic rock breakers to fit 1.5 ton to 20 ton excavators. The WBP range starts a with a WBP 200 to fit a 1.5t mini-digger up to a WBP 1400 to fit a 20t ton excavator. Click the screenshots below to visit Woodbridge Plant.